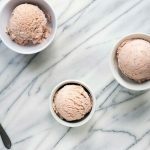 If you love homemade ice cream, you need to try this Roasted Strawberries and Clotted Cream Ice Cream. Refreshing and flavorful! This post is sponsored by California Strawberries. Thanks for supporting the brands that support Savory Simple! Strawberries and cream are a perfect combination. Think about it. On one side you have fresh, sweet, fragrant, vibrant, juicy berries. Contrast that against the rich, buttery, milky sweetness of cream. What a dynamic! Put these two ingredients together and you’ve got the building blocks for endless dessert creations. 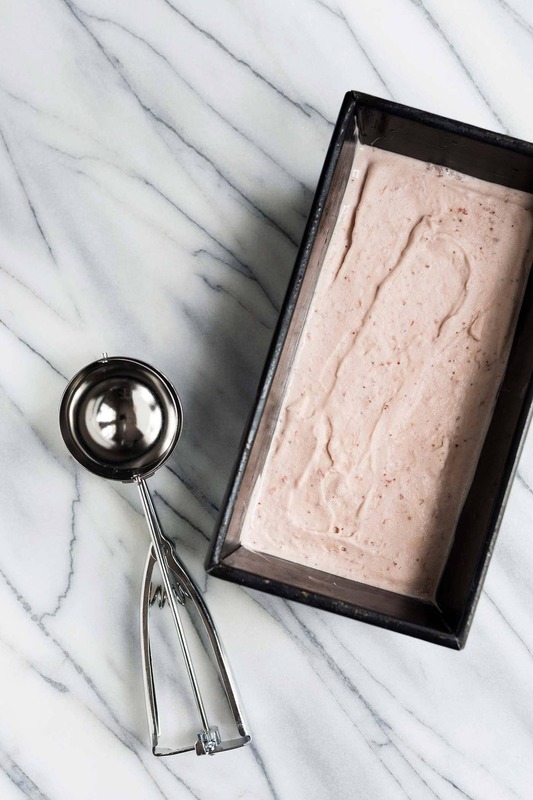 When I recently saw clotted cream at the grocery store, I immediately knew I wanted to pair it with strawberries for an ultra decadent treat. I’ve once again teamed up with California Strawberries to bring you this recipe! Clotted cream, also known as Devonshire cream, is thick and spreadable with a high fat content. It comes from the southwest region of England, and is commonly spread on scones and added to baked goods. If you can’t locate it, mascarpone cheese or even crème fraîche will work as a substitute in this ice cream. As with vegetables, roasting fruits will enhance their natural flavors. Strawberries only need a short time in the oven to extract the juices and caramelize the surface. Since ice cream bases need to be very cold before spinning in a machine, I like dividing my recipes into two parts (when I manage to plan ahead). The day before I want to serve ice cream, I follow all the steps except for spinning, then I chill the base overnight. It’s ready to go first thing in the morning! 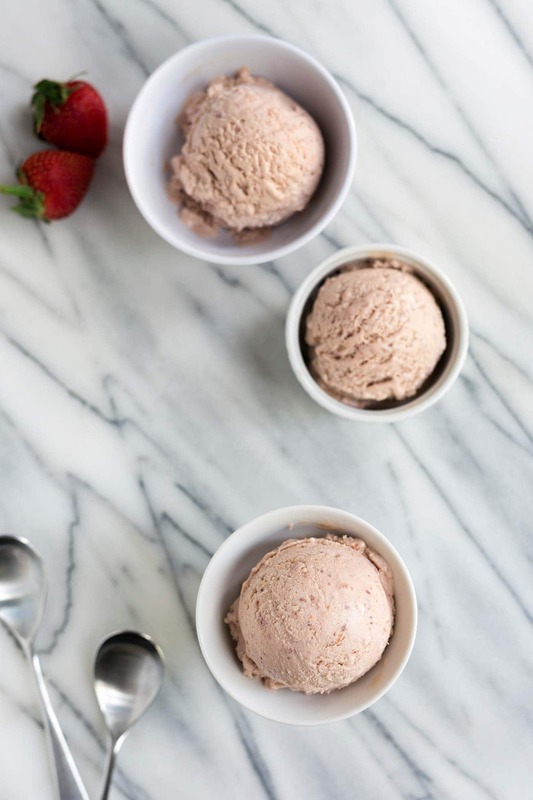 If you love homemade ice cream, you need to try this Roasted Strawberries and Clotted Cream Ice Cream. Refreshing and flavorful! Preheat the oven to 400 degrees F and line a baking sheet with foil. In a large bowl, toss the strawberries with 1/4 cup of sugar until evenly coated. Spread on the baking sheet and roast for 15-20 minutes, gently flipping and stirring the strawberries every 5 minutes. Allow to cool briefly, then transfer the berries and roasting liquid back into the same bowl (Note: don’t wait too long or the roasting liquid will solidify onto the foil). Use an immersion blender to puree (a standard blender or food processor can also be used). In a medium bowl, vigorously whisk together the egg yolks and remaining 1/2 cup sugar. In a medium saucepan, combine the half-and-half, clotted cream and vanilla extract over medium-high heat. Stir the ingredients as they heat up to help thin out the clotted cream. Once the mixture starts to simmer, turn the heat to low. Quickly re-whisk the yolks, then ladle in the cream while whisking. Pour the mixture back into the saucepan, scraping the bowl with a spatula. Stir the mixture over low heat for several minutes until it thickens slightly and coats the back of the spatula. 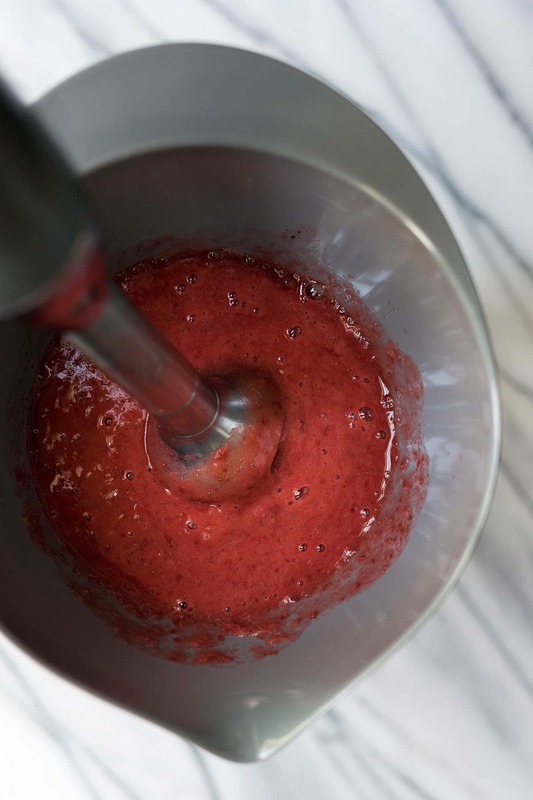 Stir in the pureed strawberries along with the orange liqueur, if using. 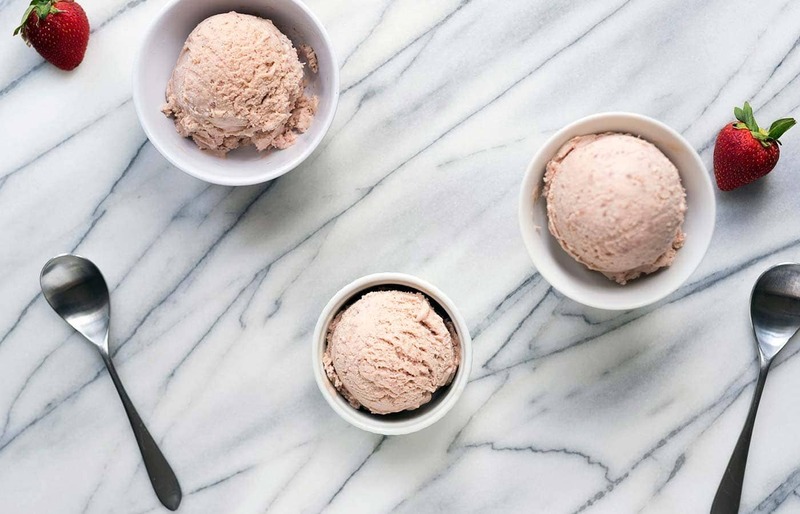 (Note: adding a bit of alcohol improves the texture of ice cream by lowering its freezing point). Pour the mixture into a medium-sized container (a quart-sized liquid measuring cup is a perfect option), and press plastic film directly against the surface to prevent a skin from forming. Chill until very cold, preferably overnight. Prepare in an ice cream maker according to manufacturer's instructions. Mascarpone cheese is a good substitution option if you can't locate clotted cream. Crème fraîche would also work. I’m making this, and I can’t wait to try it. This is one of the best flavors I could ever imagine! i love clotted cream! i was just reading steph’s blog post on how to make it at home. using it as an ice cream base is PURE GENIUS tho. I want a giant scoop of this beautiful ice cream! Strawberry is my favorite! You are so right about that contrasting combination. So many deliciousness can happen when you combine both! Strawberry season is my favorite! YUMMMM! I can’t get enough CA strawberries right now. PS. will you be going on the June farm tour (again?). If so, I’d love to finally meet you!!! I’m convinced that roasting strawberries is the way to go now, they get so much better! Those roasted strawberries….I literally cannot get over how luscious that photo is. Can’t wait for strawberries to return (and ice cream season!) around here – just have to survive winter first!! You have me wanting to bust out the ice cream maker for this one. I agree that roasting fruit (strawberries, cherries, peaches) adds a whole other dimension to their flavor. Also, the color of this is so pretty. YESSSSS!!! I freakin LOVE clotted cream, and strawberries are a perfect combination. Yum! !